Born in England and a resident of Charlotte since the 8th grade, Wilson pairs his dry British humor with a fun-loving attitude of the South. 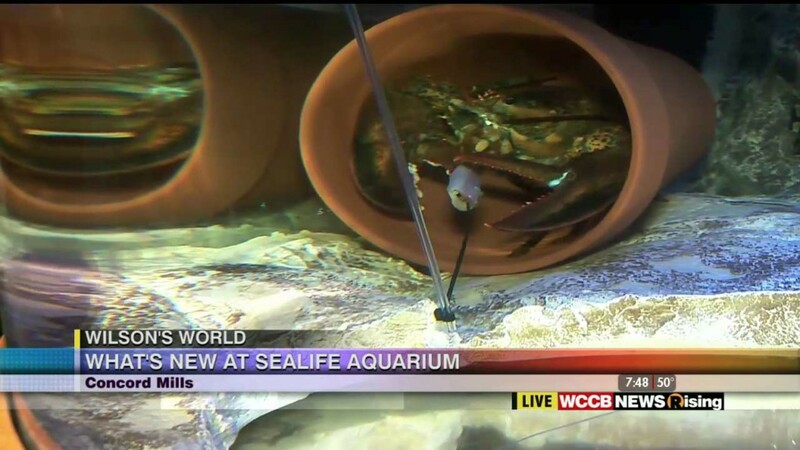 In short, he likes Fish, Chips, AND NASCAR. 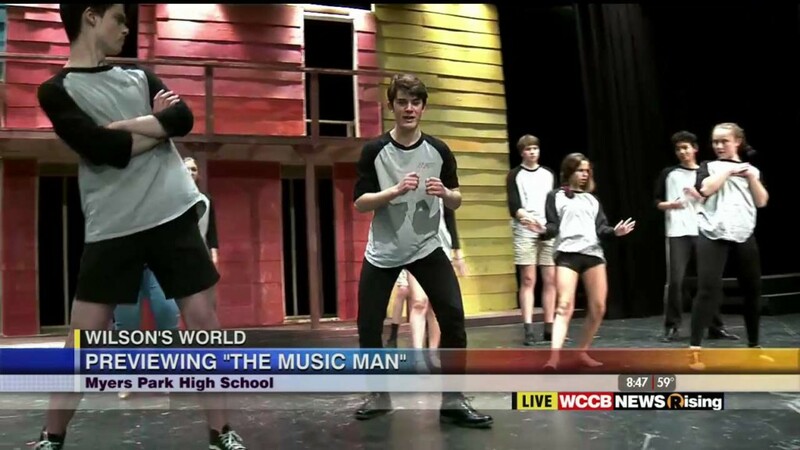 2016 will mark over 20 years of broadcasting in Charlotte, 12 of it at WCCB-TV. 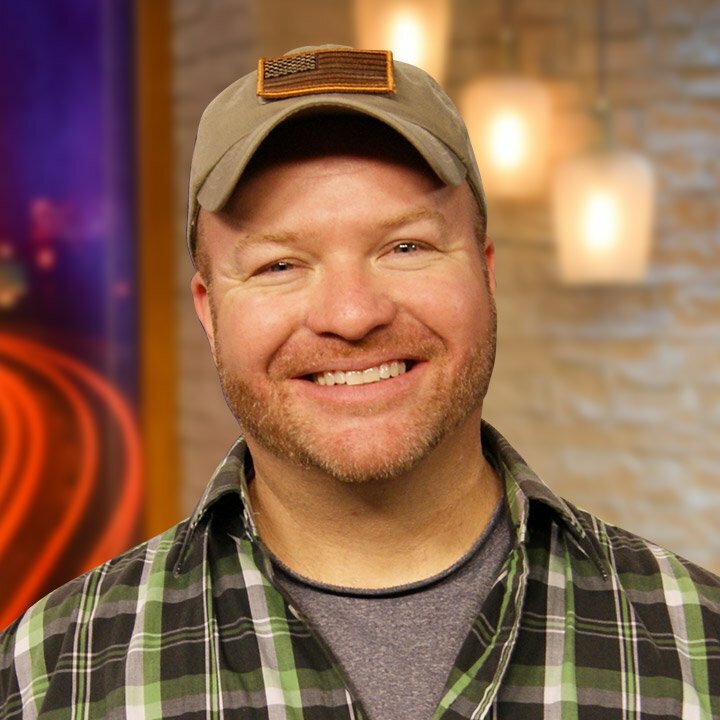 You can also find him on two of the biggest HDTV’s in the world at Charlotte Motor Speedway & Texas Motor Speedway during major events. Some may remember him on the radio at WBT 1110am, 1065 The End, or on 99.7 the Fox and also for many years with the Charlotte Checkers Hockey Team. 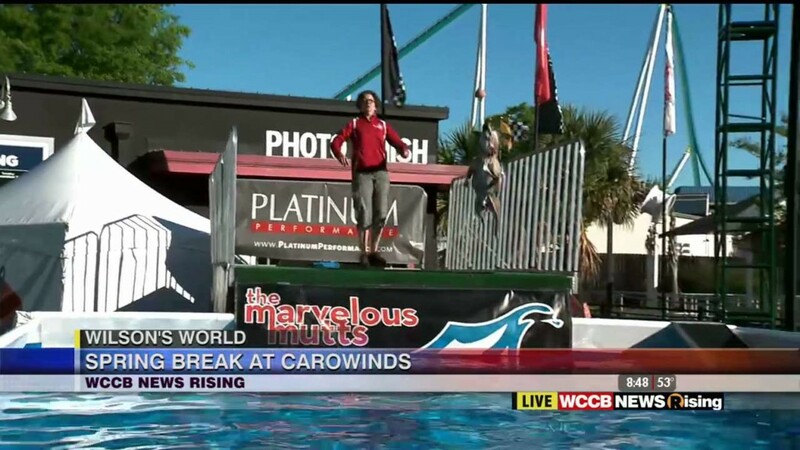 His most memorable shows at WCCB-TV would have to be rapelling 35 stories down the side of the VUE building uptown for Special Olympics, and skydiving into Symphony Park at SouthPark on Memorial Day with the Golden Knights. His family don’t go on vacations..they take “adventures” and if you ever meet him ask about spending a week in Cleveland..or cooking breakfast with Mickey at Disney..he has good stories! He loves America and being born a “Scouser” he also loves Liverpool Football Club. ‎If you follow him on Twitter a favorite phrase of his is “You’ll Never Walk Alone” or #YNWA. He’s on the Charlotte advisory board of the USO of North Carolina. He’s a big supporter of the Second Harvest Food Bank, American Red Cross, Salvation Army and also Hands on Charlotte. In 2011 he was named the “Good Neighbor of the Year” by the Greater Carolinas Chapter of the American Red Cross. 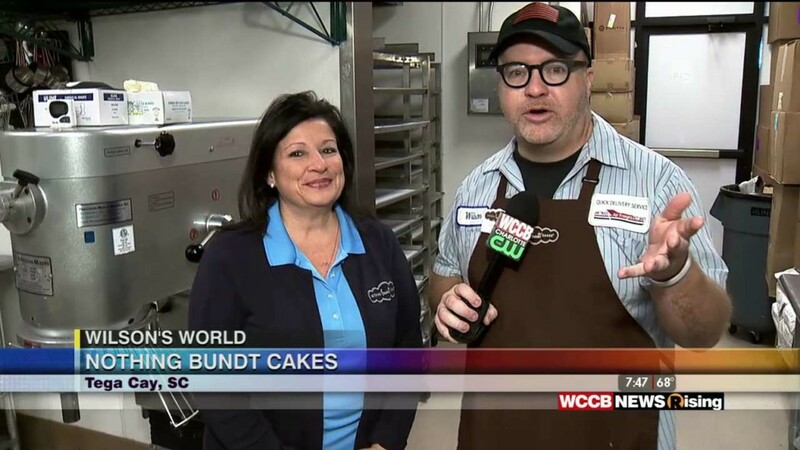 Nothing Bundt Cakes is one of the Charlotte area’s favorite places for a sweet treat! Wilson was there this morning to see how the magic is made. 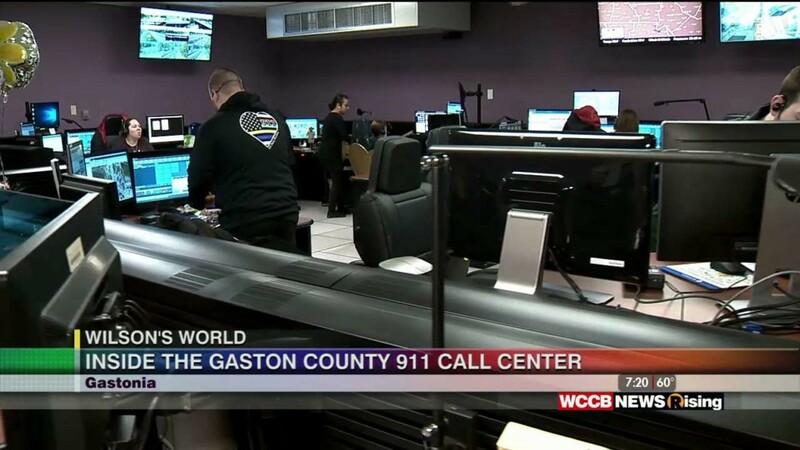 Wilson is at the 911 Call Center of Gaston County for National Public Safety Telecommunicators Week to learn more about what goes on behind the scenes when you dial 9-1-1. 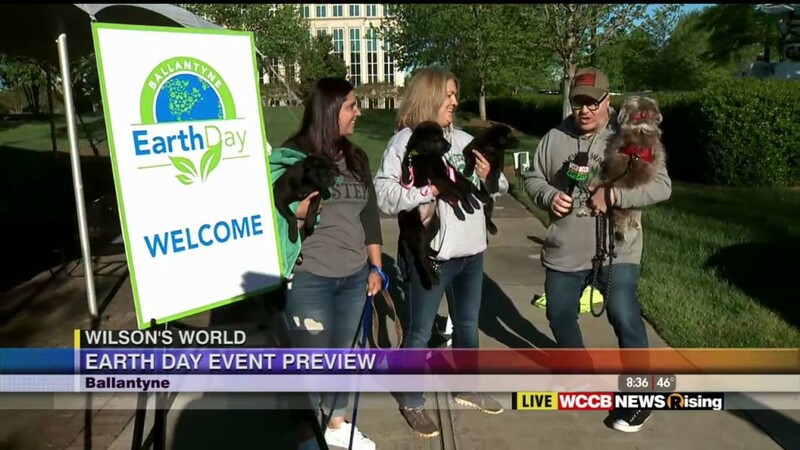 Wilson was at Ballantyne Corp Park where they will be holding their Earth Day Celebration this Thursday, April 18th from 11:30am until 1:30pm. Wilson was kicking off spring break at Carowinds where he was having some fun with the four-legged performers of The Marvelous Mutts. Wilson was at H.E. Winkler Middle School in Concord, where S.A.V.E. 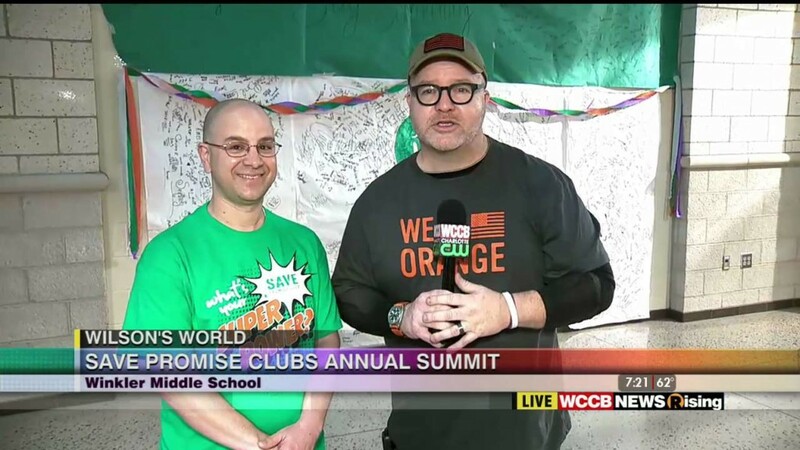 Promise Clubs are holding their annual summit. Wilson was with the the Pink Lady Fire Truck giving us a preview of next month’s Cops 4 the Cure: Pink Lady Fire Truck Pull and getting a look at how the fire fighters and police come together to pull for the Pink Lady. 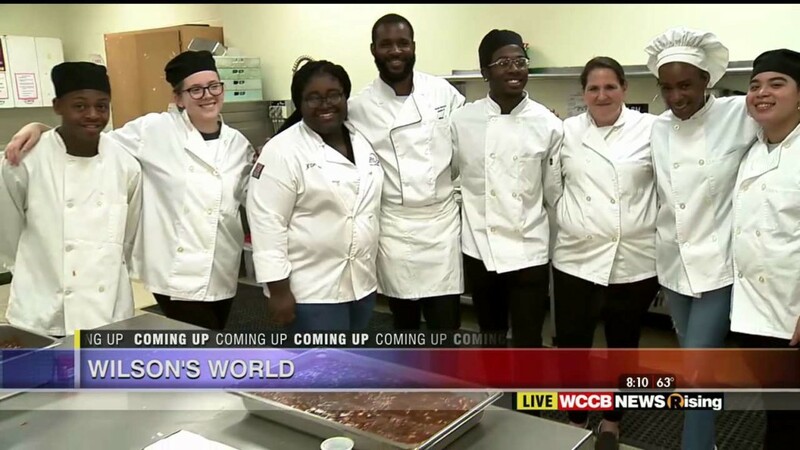 Future chefs in Olympic High School’s Culinary Program were preparing for their upcoming competition in the ‘Culinary Show, Cooking Up Change’ when Wilson stopped by this morning.